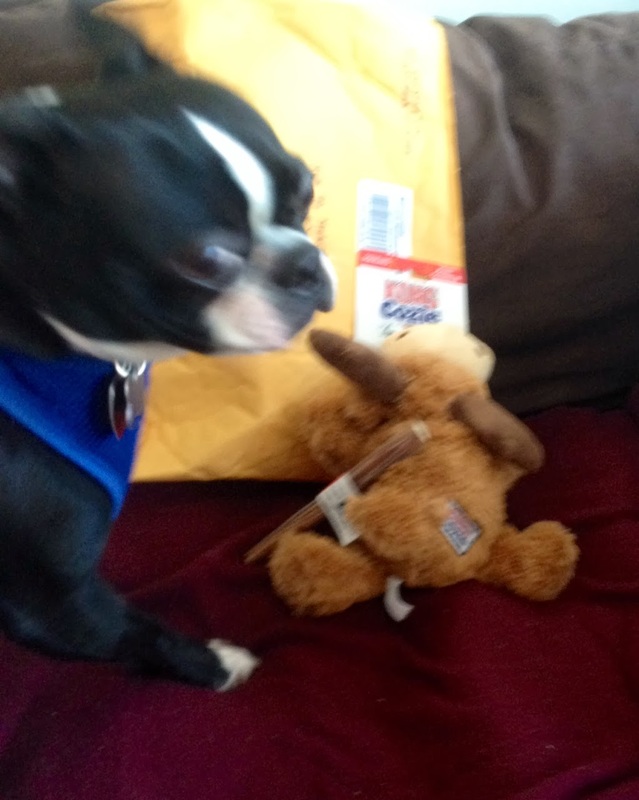 Louie received most of his wishlist items and his foster welcome package today! He was SUPER excited about the tennis ball. He is sort of obsessed with them lol. Thanks so much to everyone! 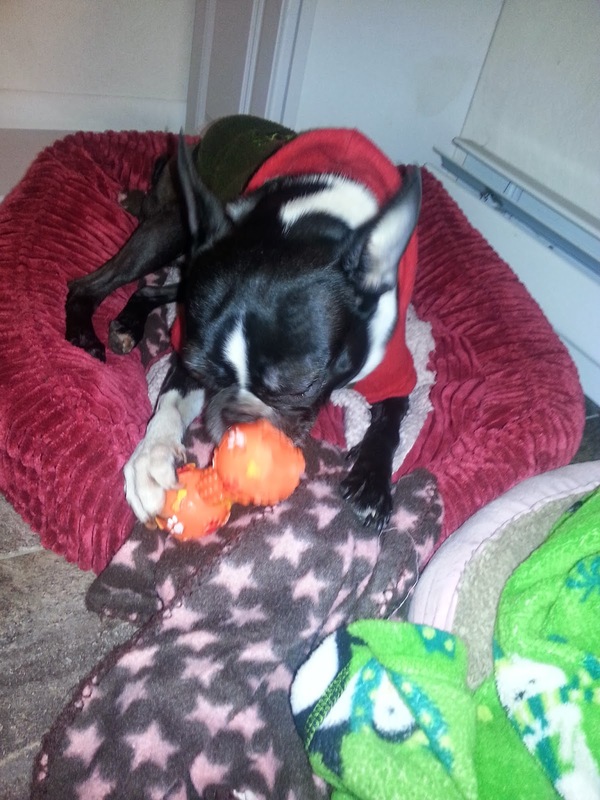 Louie and Erin appreciate all your help for this beautiful boy! 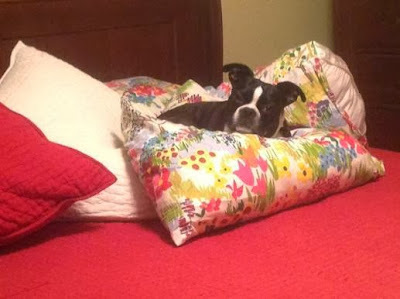 Foster Obee is ready for adoption - Check out his Video! but cannot fit another furry friend into your home or bed? and will have a special relationship with your pup! and caring for the dog. given you the opportunity of being a Guardian or Angel Sponsor to that dog. Buy Threads for St Patty's Day!! 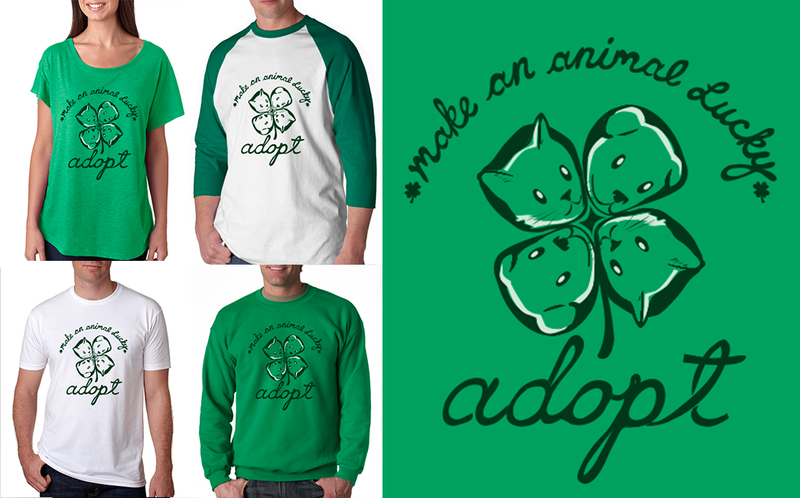 Looking for stylish St. Patty's Day threads and support Northeast Boston Terrier Rescue? 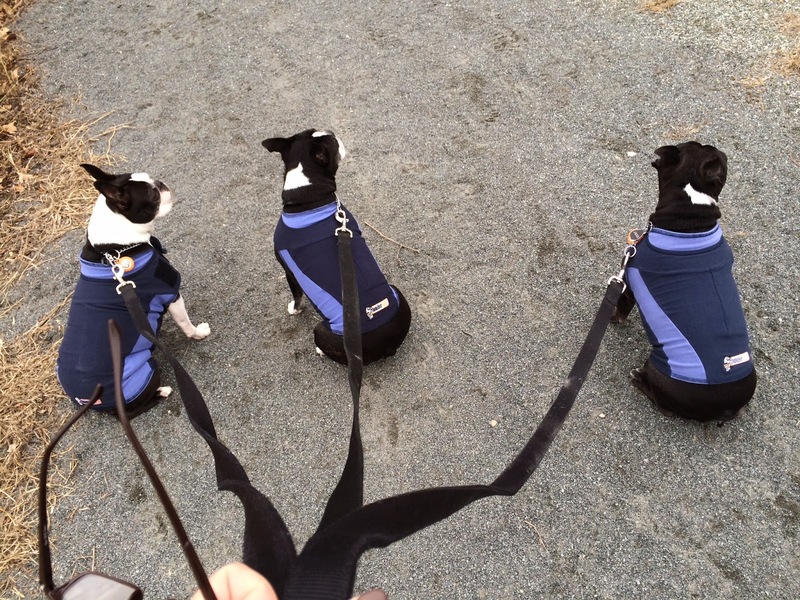 Check out ResQthreads.com – 20 to 35% of each purchase you make gets donated to our rescue! 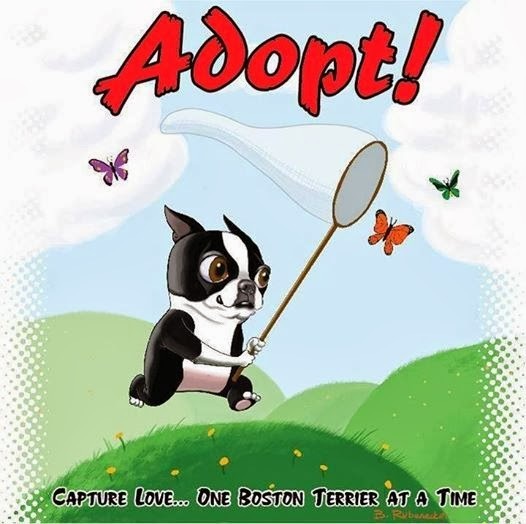 All you need to do is select Northeast Boston Terrier Rescue as your donation beneficiary from the dropdown menu during the checkout process. 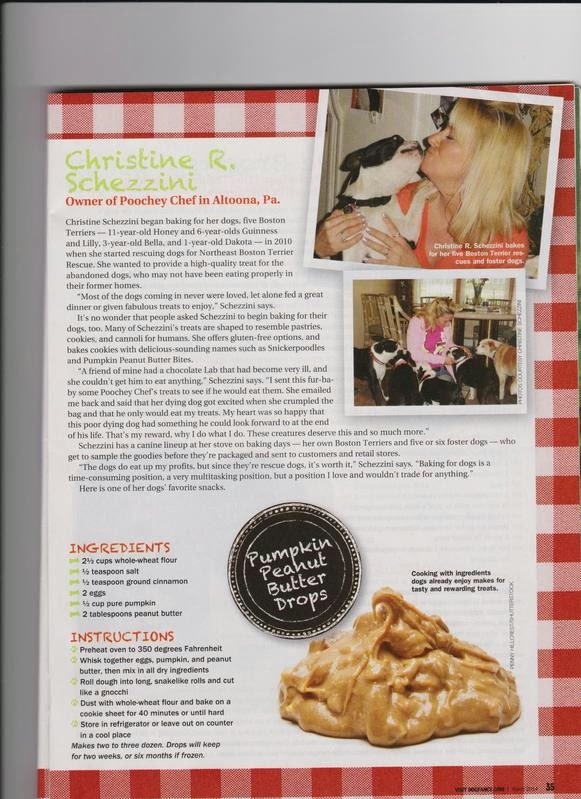 Congratulations to our own Chris Schezzini, who was featured as a baker of dog treats in the March Issue of Dog Fancy Magazine! Chris is also a foster mom to our Honey, and was pictured in the issue with her pups. Chris will be making the goodies in the Easter Baskets for our fosters. You can also order from her at Poochey Chef. Thank you for the card and for the reminder of the anniversary of our time with Rocky! Here are a couple of pictures of him from this past year! 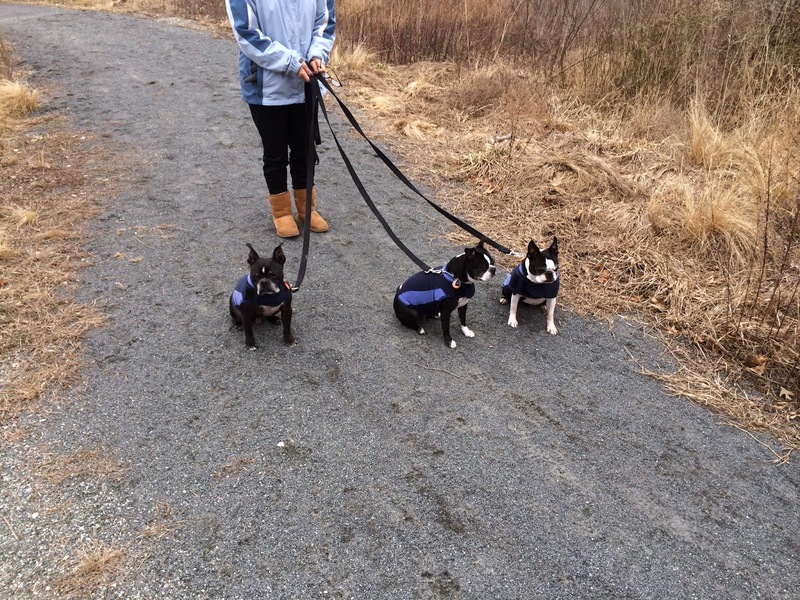 This is Tessie, Yaz and Tessie are bio siblings! 7yr old Tessie loves to fetch a tennis ball and does not do well with other dogs, she's got a bit of energy and some skin allergies. She is sweet loving, gives plenty of kisses, spayed, house broken and crate trained. (pastuszm1@cox.net) Yaz & Tessie are a pair but not dependently bonded they could be adopted together or separate. 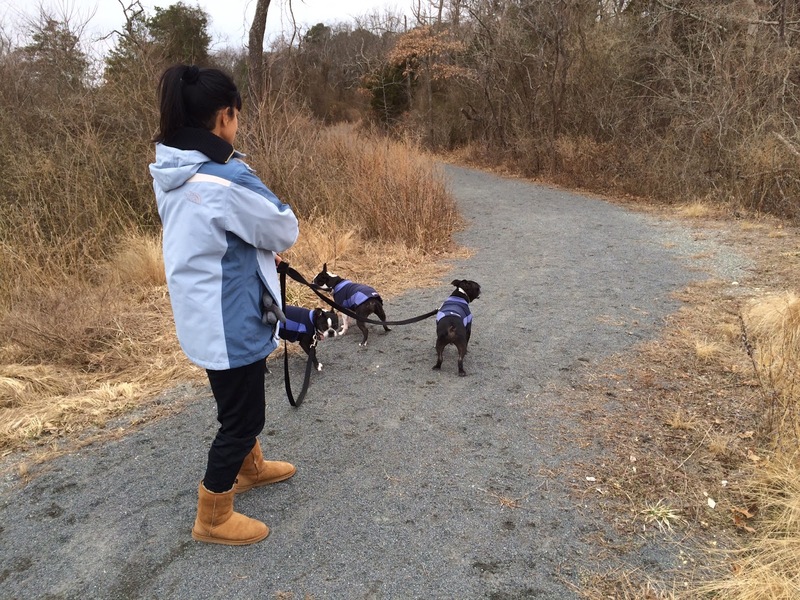 Bella Boo is obsessed with going for a walk, no matter how cold it is outside. She makes me feel guilty when she does this! 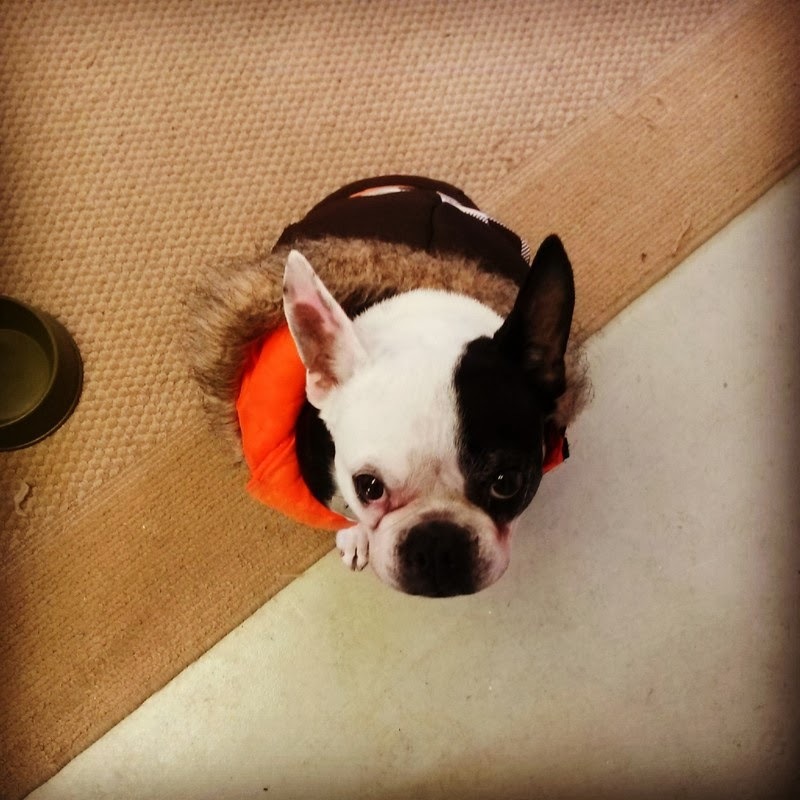 How cold is too cold to take her for a quick walk around the block?? She enjoys it so much. Please, please, please don't make me go out in this cold for a walk...I beg you!!! I want to thank everyone for all the warm condolences. Those of you from NEBTR might remember Ruby was my first foster(failed foster) she came to us from a wicked woman who kept her in a small cage in her her garage. 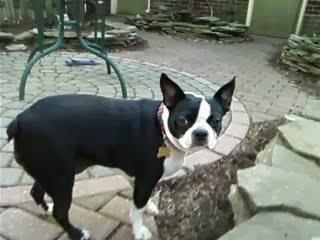 Ruby was an oddly shaped Boston. Crocked legs and bowed back. I am sure from that cage and had injuries to her legs that were not taken care of. She stole our hearts the minute she stepped into our house. Ruby's spirit was not broken. She had the heart of a lion! She loved running up and down our steps in the house and helped to build up her muscles in her legs. But from all the old injuries Ruby delveloped arthritis in all four legs. This last year she also was diagnosis with Cushings and could not tolerate the meds. Ruby lived a happy life with us her and we loved her dearly. I made a promise that she would never suffer one day and even know I was not ready to lose her, she was ready. Run free and fast my girl! Our sympathy to you, Jill and family. 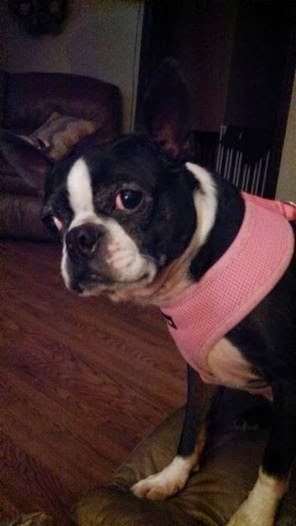 We are so sorry to hear about Ruby. she sounds like a terrific girl and a very lucky one to have had you as her family. Sending hugs to you. It's been a little over a month since Nala was rescued from her previous hoarding situation. The vet thinks she is about 7 yrs old. She has a perpetual puppy face and floppy ears so it's easy to forget that she is the oldest dog in the house! When she got here, she was super skinny, and had hair loss due to flea infestation. 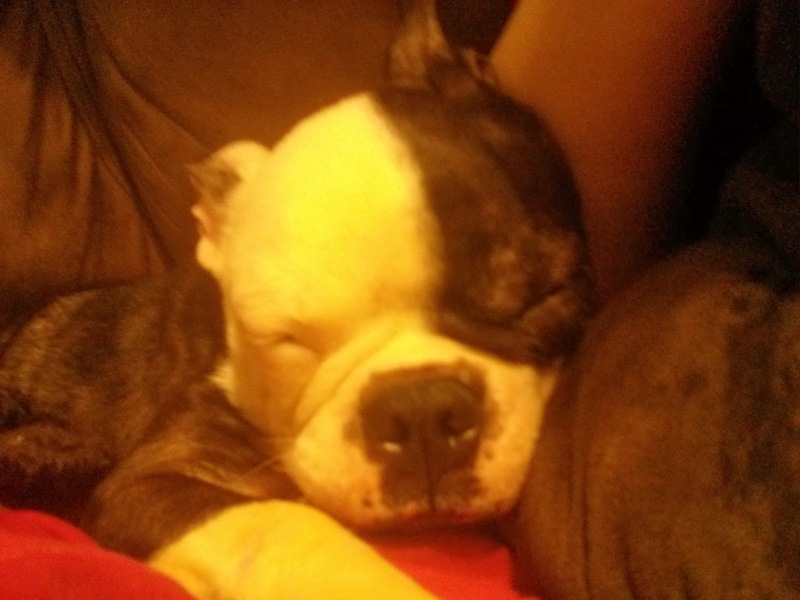 She was lethargic and pretty much slept all day for the first few weeks. She has put on a few pounds since but she has also gained some muscle tone and has started filling out. She is trying to play with the other dogs but she is still learning. Her fur is also growing back in. She has some very pretty brown flecks in there! She has such a sweet, passive personality. Luckily her previous home did not have any negative effects on her demeanor at all. She loves people and other animals. As soon as she sees another dog, she walks right up and gives them a kiss. Then she steals all of their toys. Not aggressively, though, just very sneaky! She has no problem with grooming at all. In fact my daughter even painted her nails a pretty pink color and she just sat there and enjoyed being pampered. I was having an issue potty training her at first because she was so afraid to go outside. I kept taking her out for a few mins every day and she would stand by the door and shake. 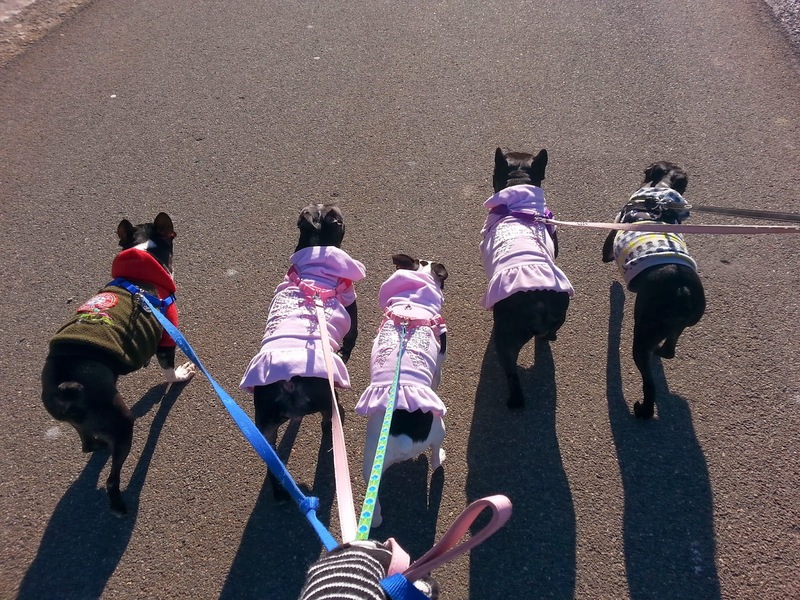 Suddenly, one day, she ran out with the other dogs and did her business and that was it. After that, accidents in the house have become far and few between. I need to schedule her spay and work on some basic commands and I think she will be ready to go to her forever home very soon! Wow Kristy, what a difference. You've done a fantastic job with her, thank you so much! Amen, God bless you! Makes me cry happy tears for Nala, the before and after just grabs you! Buddy here! This is my favorite toy. I carry it all over the house & I even throw it in the air & catch it all by myself. "On January 25th, Baxter received his routine vaccinations and within 10 minutes went in to anaphylactic shock and nearly died. He collapsed and had a dangerous drop in blood pressure, problems breathing, and began vomiting several times. Later, his face swelled up with hives. 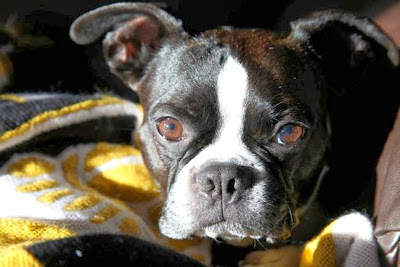 Baxter received lifesaving emergency care. 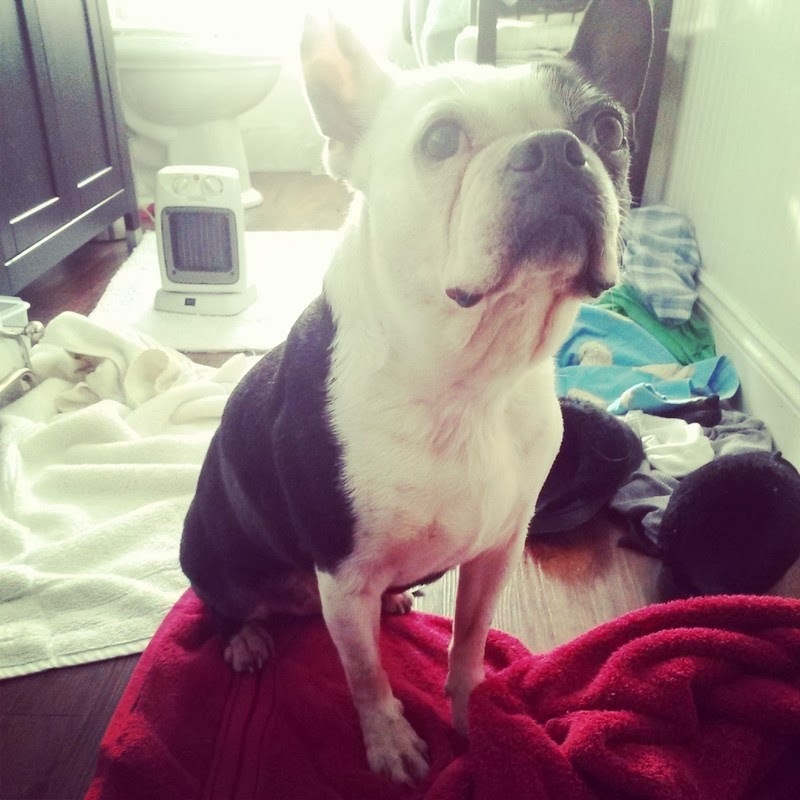 A week later, Baxter began to vomit and have diarrhea and could not keep food down which again required emergency medical care. The steroids he was on still from the anaphylactic shock had given him ulcers, which required even more medicine and a bland diet. Baxter has since struggled to transition back to a regular diet, which as lead to even more medicine. 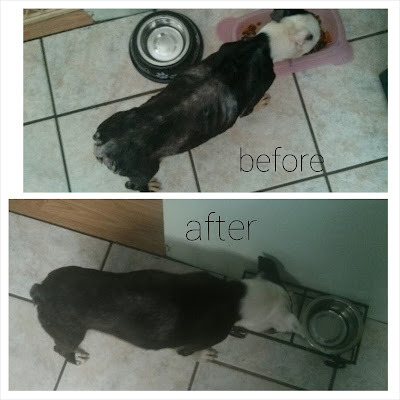 Due to the anaphylactic shock and the bland diet, Baxter has lost nearly 20% of his body weight. His spine and ribs are visible which is heartbreaking to see. 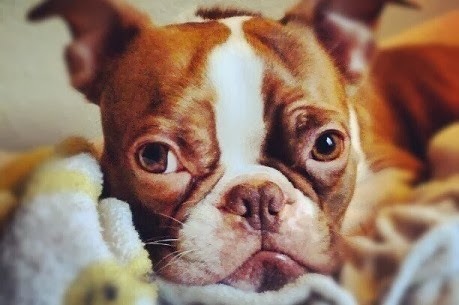 Baxter is well known in the Boston Terrier Instagram community as @hawkeye04. His goofy antics and funny faces bring a smile to everyone’s face. He is my whole world and lights up any room. I just want my goofy Baxturd back more than anything. Unfortunately, the vaccine manufacture will not pay for Baxter’s medical bills because they cannot “prove” it was their vaccine that caused the reaction. It is very hard for me to let down my pride and ask for money. It’s the last thing I want to do, however, this has been emotionally, financially, and physically draining. 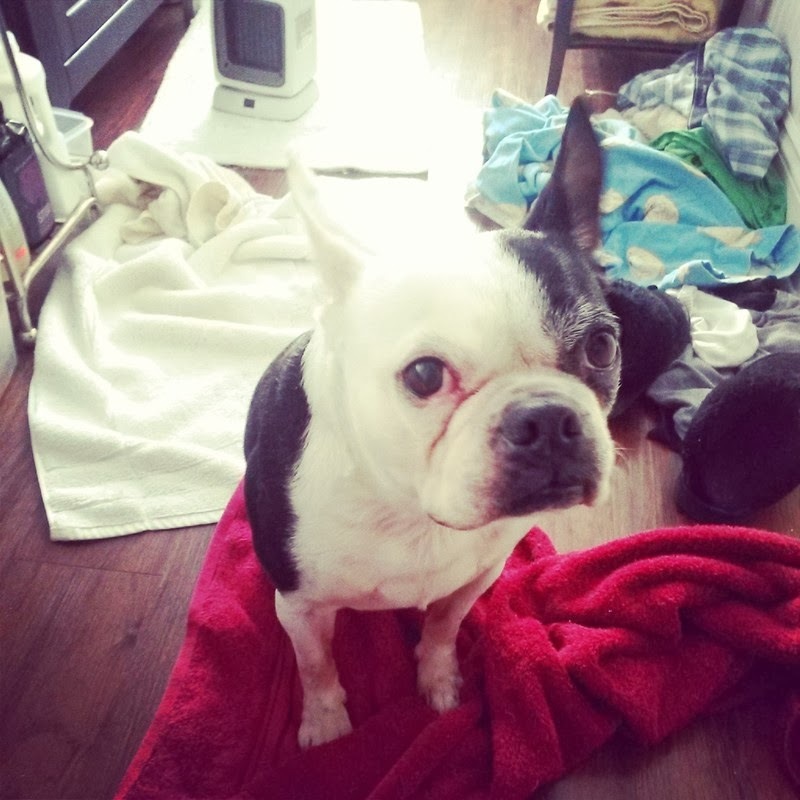 His total vet bills are now at $955.95 (2 emergency vet visits, 3 regular vet visits all within 2.5 weeks time), so I am not asking to cover them all, I just need a little help so I can keep my head above water. If he cannot gain the weight back soon we will have to go back to the vet, so there may be more vet bills to come. Thank you everyone so far for you kind words and support. This has been so hard and it is great knowing we have a “family” out there, even though we’ve never met. I wish I could repay each and every one of you in some way." 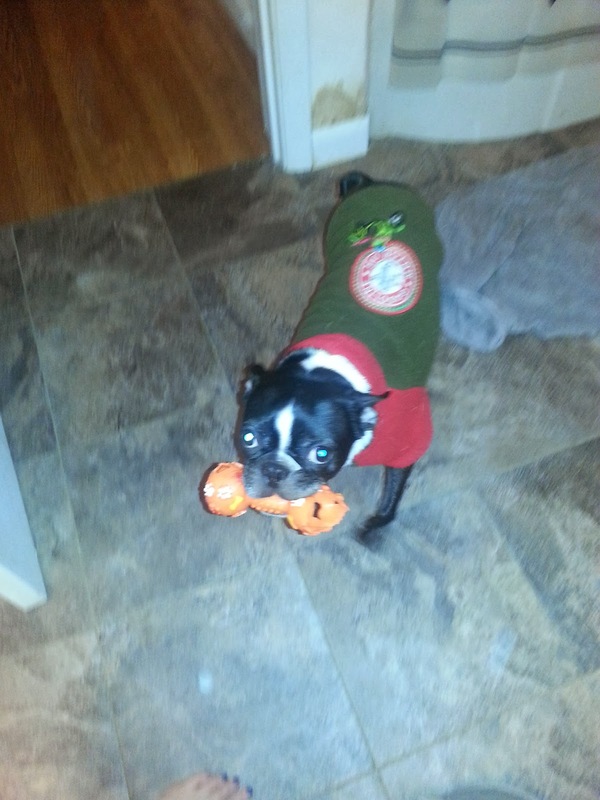 Thankfully, Baxter recovered from his orderal. 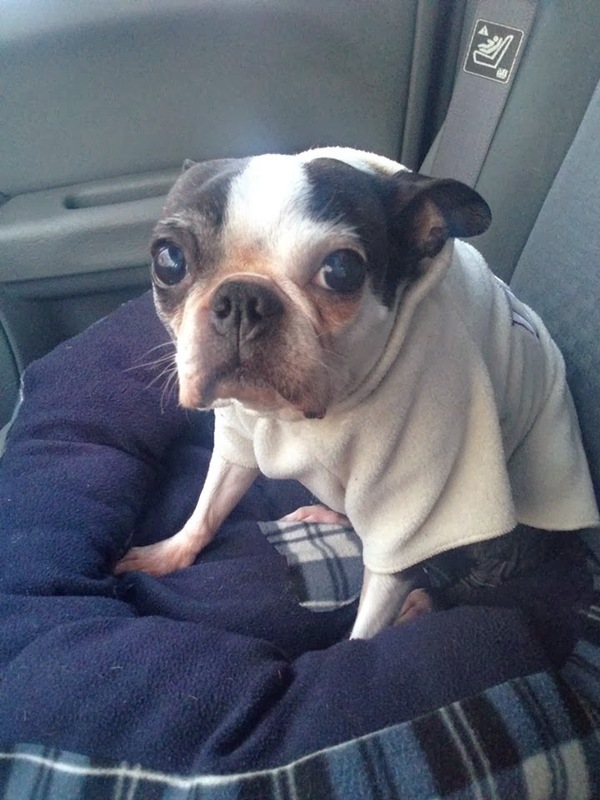 Through the generosity of her Internet friends, Baxter's medical bills were more than covered. 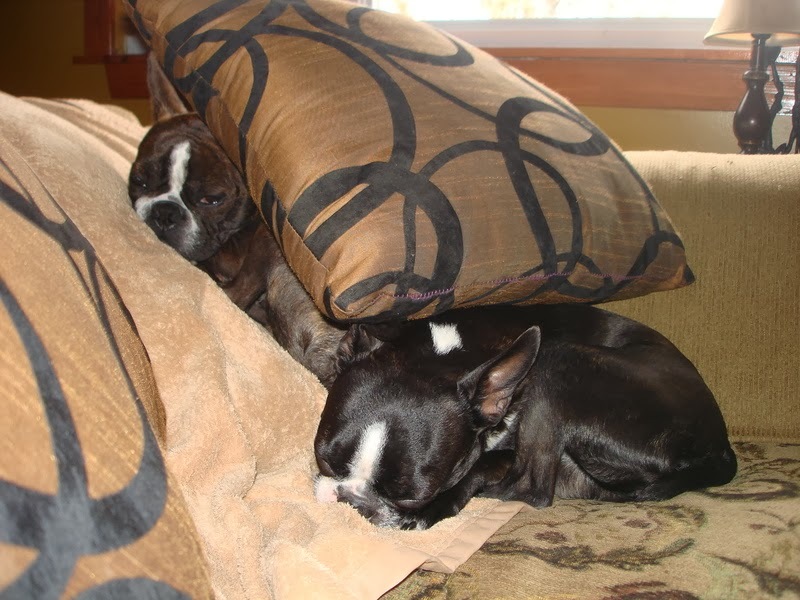 And Baxter and Rachel are "paying this forward." She writes, "I cannot take any credit for this money. 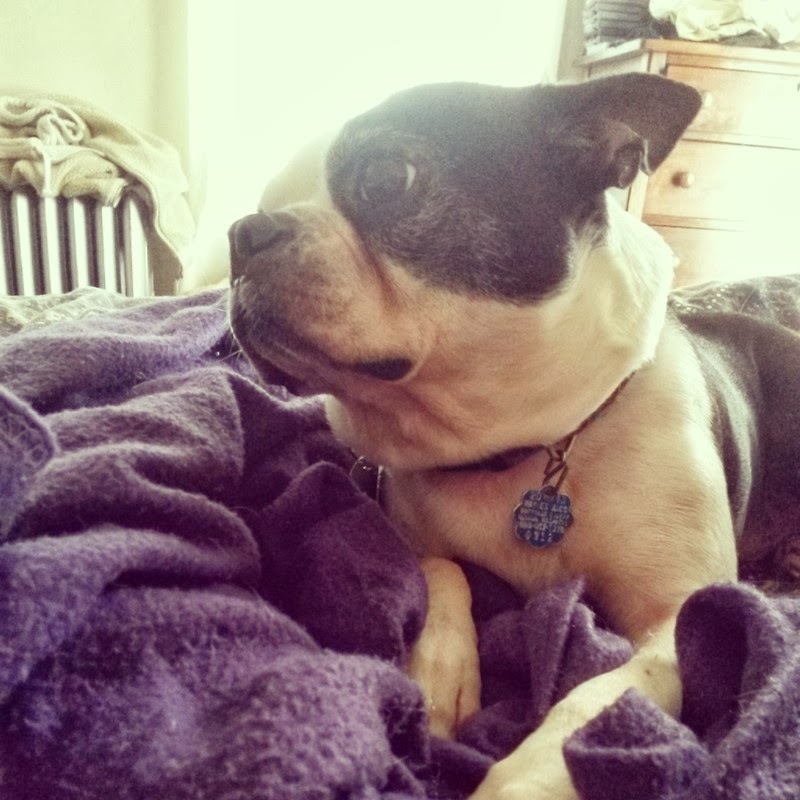 My Boston Terrier, Baxter, had medical bills so I did a GoFundMe cam paign. My awesome Instagram & Facebook "family" raised more than enough to cover his bills. So I'd like to donate the leftover money to help Boston's in need. Thank you for all you do! -Rachel (@hawkeye04 on Instagram)"
They donated the amazing sum of $600! 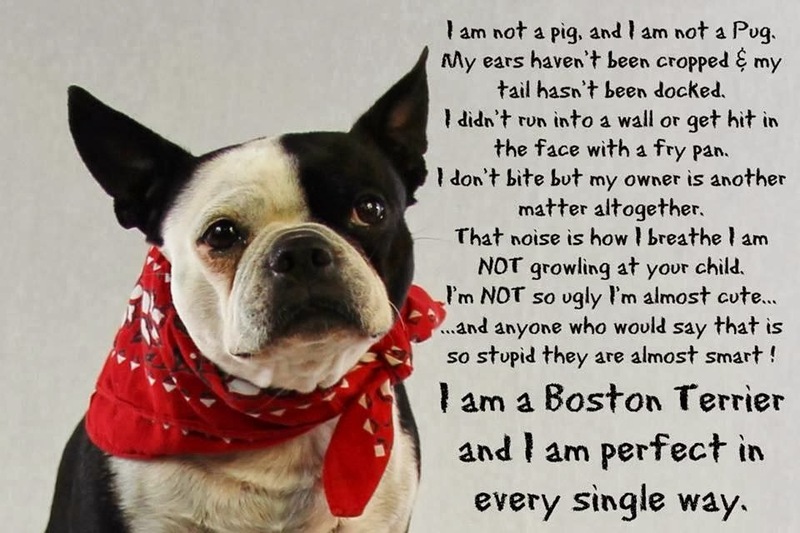 This will go to help our seniors Chica and Molly, and all of our other Bostons who will have medical needs. Don't forget to stop by his Instagram page to say thanks! It's @hawkeye04. We are all overwhelmed by your generosity! 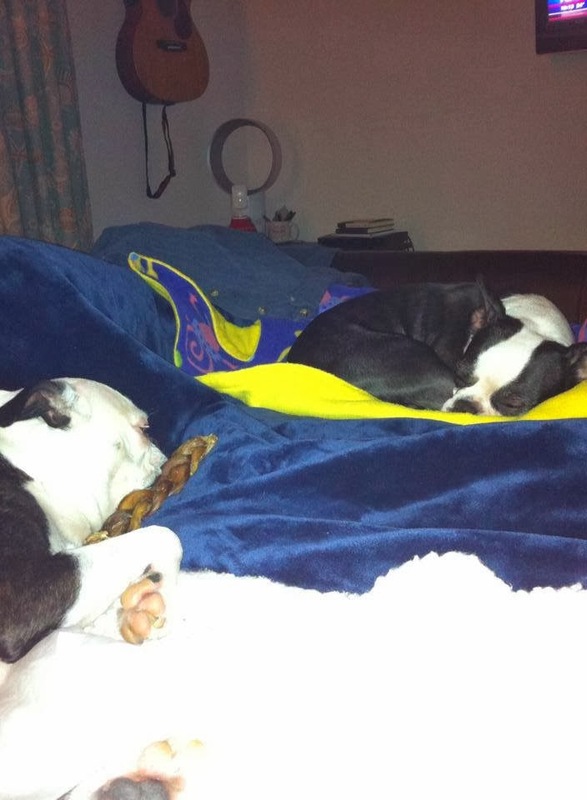 Jack was adopted by a great family with 3 fur siblings to play with! Thank you to Louis and Cindy House for giving Jack such a wonderful home!! Congratulations!!! Everyone looks so happy!! Special thanks to Christine Morse for loving this boy and finding the perfect family for him! She has such a sweet, passive personality. She loves people and other animals. As soon as she sees another dog, she walks right up and gives them a kiss. Then she steals all of their toys. Not aggressively, though, just very sneaky! She has no problem with grooming at all. 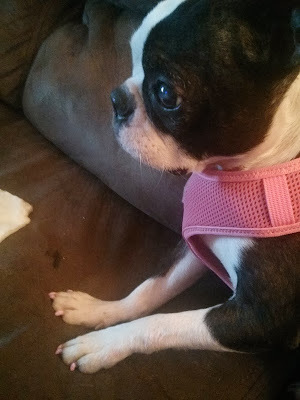 In fact my daughter even painted her nails a pretty pink color and she just sat there and enjoyed being pampered. I was having an issue potty training her at first because she was so afraid to go outside. 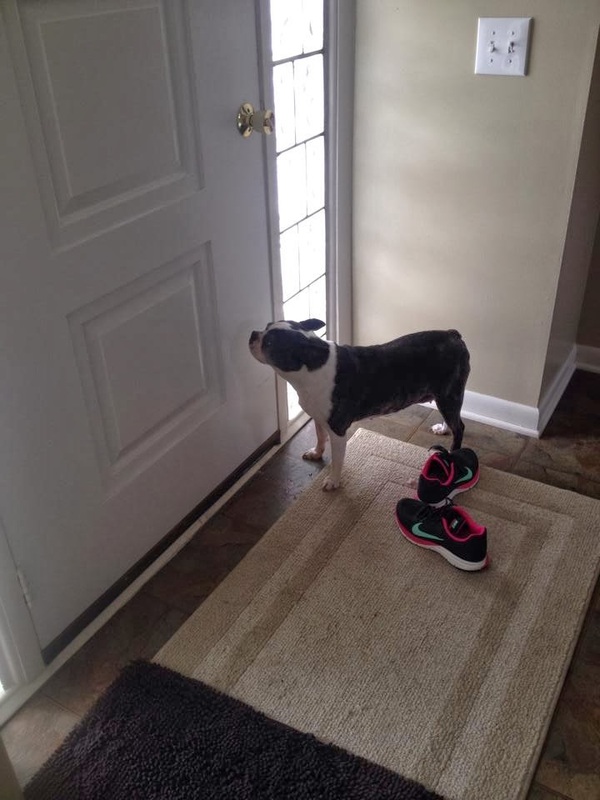 I kept taking her out for a few mins every day and she would stand by the door and shake. Suddenly, one day, she ran out with the other dogs and did her business and that was it. After that, accidents in the house have become far and few between. I need to schedule her spay and work on some basic commands and I think she will be ready to go to her forever home very soon! 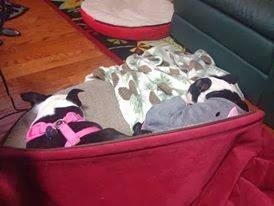 Rudy and Brady are ready for Adoption!! Just in love with our new puppy Lola. Thanks NEBT Rescue and her wonderful Foster Mommy Cindy Bode for saving this beautiful dog. It’s almost 2 years ago that we adopted Sassie. 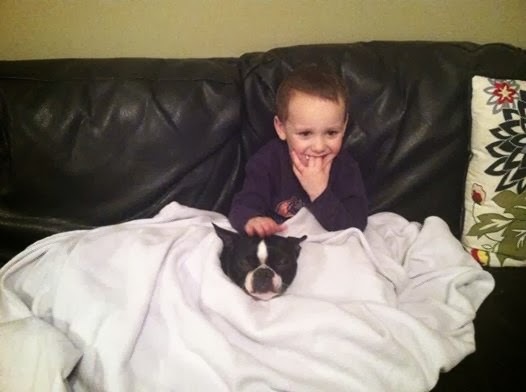 We’ve had Bostons before but she is the calmest I’ve ever seen. She loves everyone. 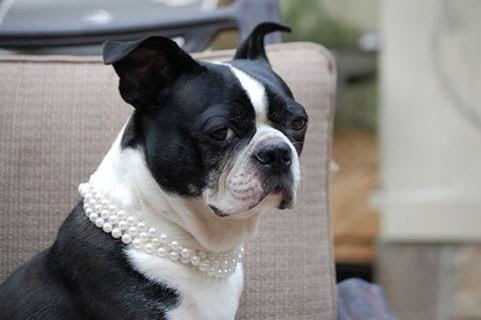 She is not a watch dog. The only time she barks is if she’s outside and wants to come in. She is very spoiled. My husband and I are both retired now and she loves having us both home. 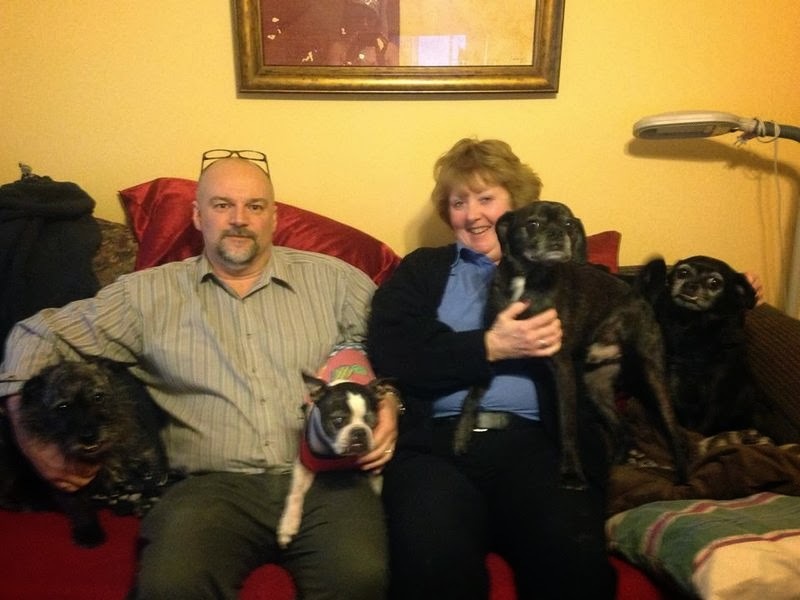 We had a nice visit with Dawn, her foster mom, in Allentown a few months ago. We are very happy to have her and are very thankful to the people who take these dogs in and care for them until they get a home. Buggs was my absolute favorite foster. The bottom picture was the one I saw of him taken at the shelter. Jim was dispatched pronto to go pick him up. 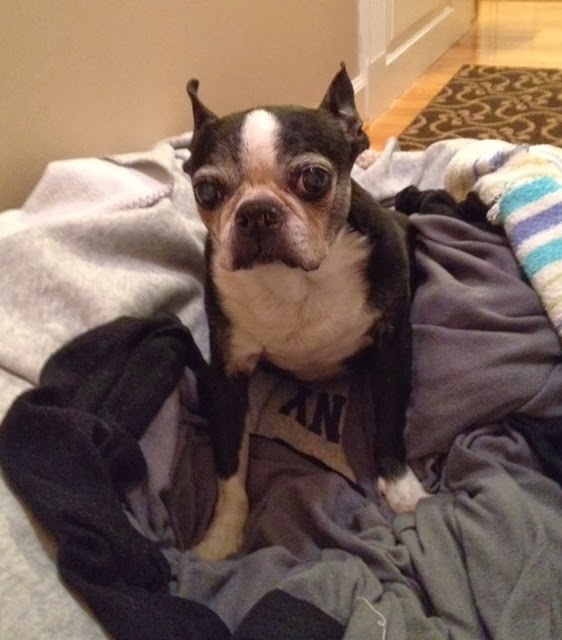 He was 15 years old with Congestive Heart Failure. As the shelter worker handed him to Jim, she said she didn't think he would make it through the night. Neither did we. We got him to the vet- grade 5 heart murmur out of 6. He was put on 3 different heart medications and with a lot of tweaking he was around for 5 more enjoyable months. Picture taken a few hours before he passed away. Can you tell I was a bit partial to him? So cute, I remember that picture. He decided to take over your laundry. It's the ones like Bugg, to me, are the true meaning of rescue. The ones that are unadoptable but are still given the opportunity live out whatever time they have left in a home, comfortable and loved and not alone in a cold shelter. I have to smile because your email is proof that he finally got what he deserved at the end. A home that would cry when he passed because he was loved and will always remember and miss him. Ace had a busy week. First, he said thank you so much for the treats the Kyle family. Then, Ace got a new Family! Marjorie Young, who fostered Ace along with son Matt, both in NEBTR shirts, met the Andrewski family, including boys Dylan and Levi. 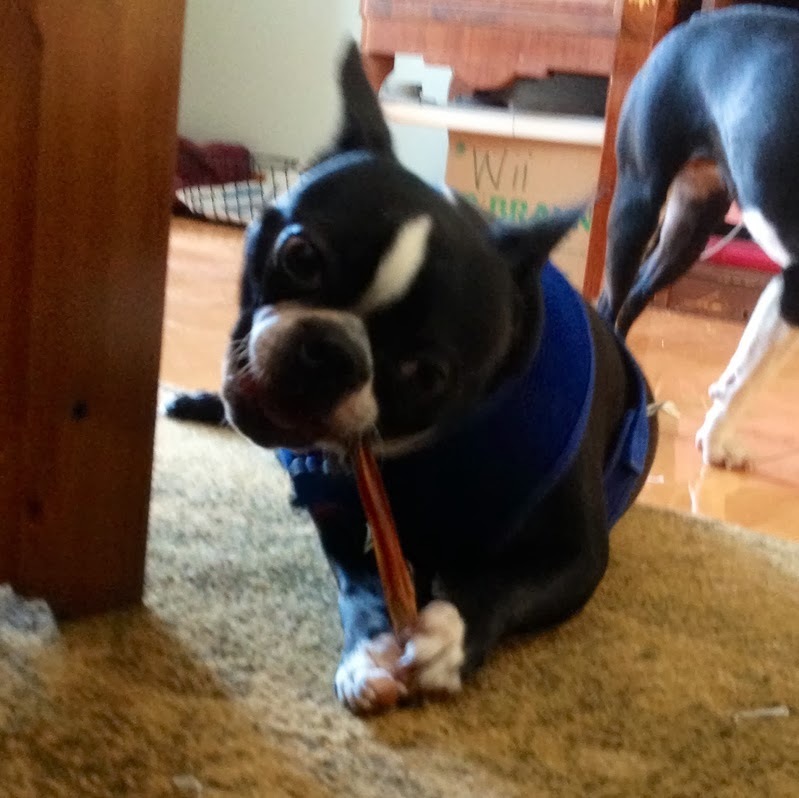 Marjorie notes, "It warms my heart to say that Ace will be loved and cherished in his forever home!!" Ace became Chase, and spends his days now with his new brothers. What a great happy ending, and many thanks to Marjorie and Matt for loving him and finding the perfect home for him. It looks like everyone will be having the time of their lives with this fella. 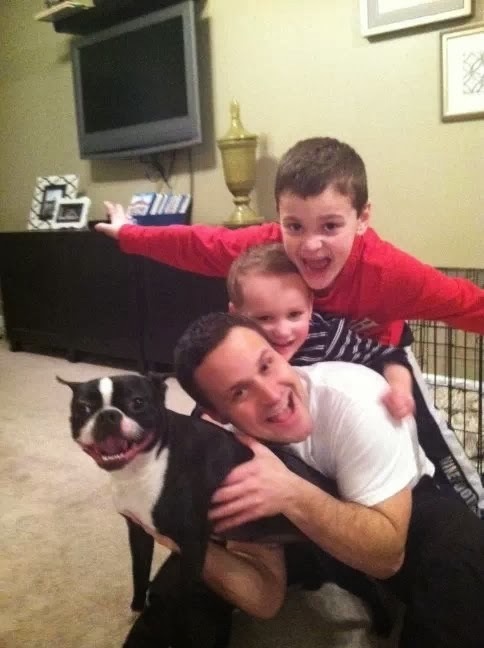 Love those smiles - all 4 of them :-) Enjoy your new forever home, Chase! !